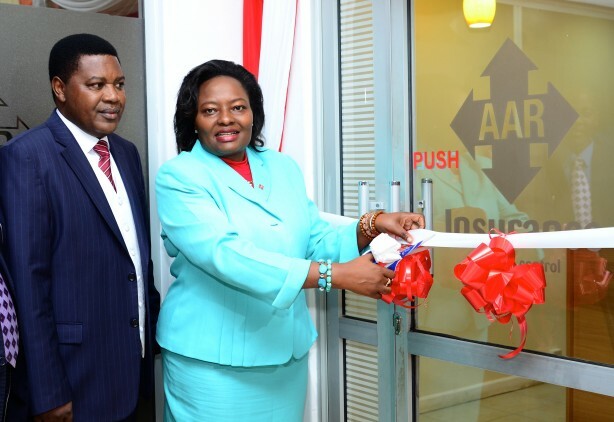 Kenya’s second largest medical underwriter AAR Insurance has today opened a facility to train about 1000 insurance agents each year. The training centre located along Nairobi’s Ngong Road will offer six-month free training to the firm’s agents. AAR is seeking to enhance its share of the huge untapped market where only less than four per cent of Kenyans have access to insurance services. According to AAR Insurance Managing Director Caroline Munene, the facility is designed to equip trainees with relevant skills to improve customer service and productivity. The training facility will also help in creating job opportunities for thousands of Kenyans in the insurance industry. “The sales force serves as a critical link between an insurance company and its customers. This office therefore will seek to produce individuals with high level skills and who are able to properly advise customers on insurance matters,” said Munene. The training covers communication skills, customer service, personal grooming and principles of insurance. Upon completion, trainees will be issued with certificates and some of them absorbed into the company. Trainees will be recruited quarterly from four regions namely Coast, North Rift, Nairobi and Nyanza. In Kenya, insurance is largely distributed through the agency model hence agents play a vital role in uptake of insurance products. “Agents are the main customer touch points. A bad experience often leads to erosion of customer confidence, leading to poor uptake of insurance thus underscoring the need for training,” explained Munene when the first batch of twenty five trainees under a pilot phase graduated. She attributes low insurance uptake in Kenya partly to lack of awareness hence the need to develop and nurture talent in the industry. The latest move by AAR is a departure from industry practice where agents undergo short training courses mostly two weeks before being deployed.